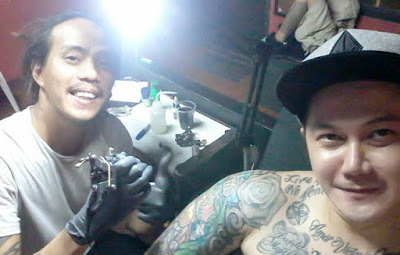 Another Dutdutan 17 exclusive, presenting Dandin Santos, a tattoo artist who will be showcasing his talent there. 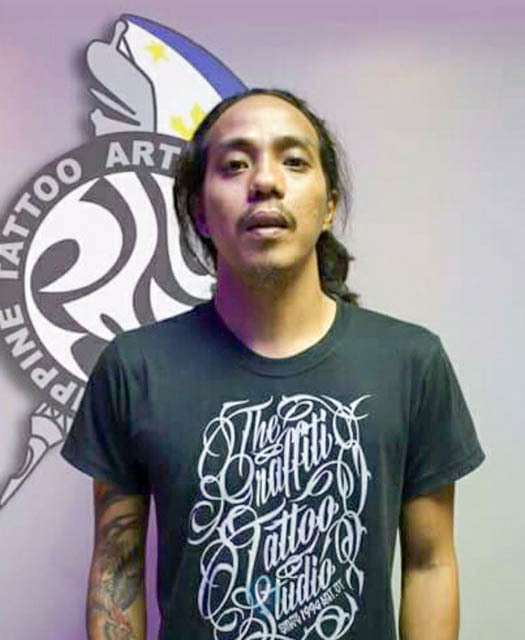 Watch out for him at his booth "Black Widow Tattoo" Booth 44 at the World Trade Center this coming September 1 to 2, 2017. KTG: In a few words can you say something about yourself. "Hi, I am Dandin Santos from Antipolo and a fulltime tattoo artist for eleven (11) years." KTG: Really that was short LOL. 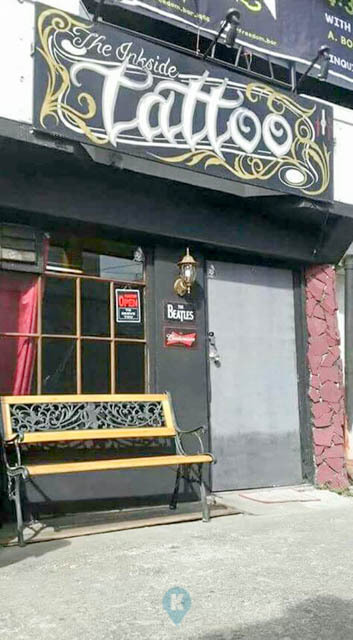 So, when did you know you like to be a tattoo artist? 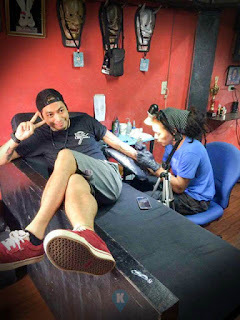 "I know that I want to be a tattoo artist since I quit schooling. Tattooing I thought was my last option to manage my future. Its difficult to get a job without education so I decided to let my creative side out and become one." KTG: how did you start to be one? "Actually I didn't know this was my passion when I simply started doing it. As I said it was my last option. I simply started and only later I found it was a passion." KTG: Hmmm, any interesting clients you can share? Their love for their tattoos? "I have a client, lets call her Mrs. Modification. She wants to modify her physical appearance by having lots of tattoos. From her scalp, all the way to her legs. Also she wants to have her legs shaded so it would create an optical illusion that she's slim. And yes, we did achieved the effect." KTG: What is the hardest design you did? "Actually all designs are hard but the hardest designs were for myself. It took me a lot of effort and time to decide what to place on myself because its there forever. So all the designs on my body are the hardest ones to make." KTG: What can you recommend or suggest to aspiring tattoo artists out there? 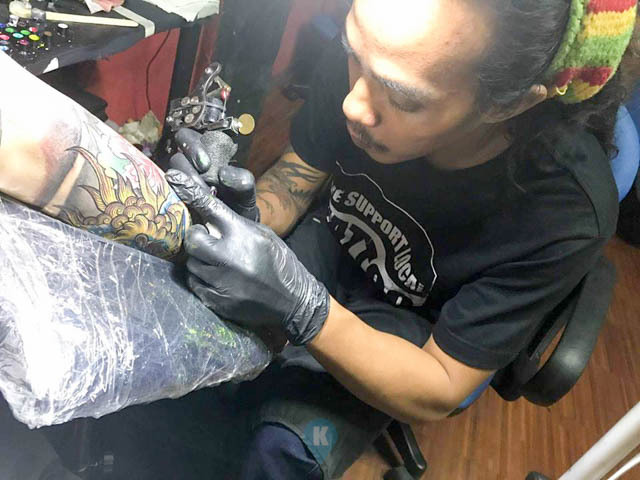 KTG: What is still your goal in life as a tattoo artist? "My goal is to tattoo the whole world. really, the whole world. If its too much to ask, maybe I'll try to imbibe in people from discriminating against people with tattoos. 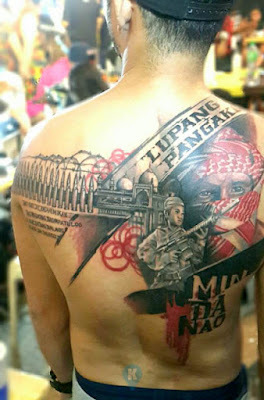 Remember that a tattoo is an expression, freedom and it has nothing to do with one's character." Dandin will be showcasing his work at a booth in the upcoming Dutdutan 2017 at the World Trade Center, September 1 and 2. Dropby his booth and say hello. For more of his work, visit his facebook page here.